The judges have weighed in, and our community has voted! Go to the Azure IoT on Serverless Hackathon gallery to congratulate the winners and check out all of the awesome submissions. If you haven’t cast your vote yet for your favorite Azure IoT submission, there’s still time. The polls will remain open until 5pm ET on August 17. Spread the word and if you submitted an app, tell your friends, family, and colleagues to vote for you! It's your turn to pick the Popular Choice award winner! Browse the Azure IoT on Serverless Hackathon submission gallery and vote for your favorite app. Be sure to spread the word via your social networks, too! It’s your turn to pick the Popular Choice Award winner! Browse the submission gallery and vote for your favorite Azure IoT hack. If you submitted an app, be sure to spread the word through your social networks, too! The last day to vote is August 17th. Last weekend to submit: Submissions close August 6! There are only a few days left to finish up your project and submit it to the Azure IoT on Serverless Hackathon. Submissions are August 6 before 5pm ET. Find out what time that is in your city. The end is near! There’s only one week left to submit your Azure IoT hack to the competition. Submissions are August 6 before 5pm ET. Find out what time that is in your city. There are two weeks left to create business applications using Microsoft Azure IoT Serverless architecture. Submissions are due August 6 before 5pm ET. Find out what time that is in your city. Hardware not required, sample sensor data, and 3 extra days to submit! New deadline: Monday, August 6th @ 5 pm ET! There isn’t any requirement to use any hardware on the solutions participating on this hackathon (we can’t talk about serverless and ask for mandatory hardware, right? ), so feel free to use sample data coming from any simulator you want to use. As IoT Hub allows you to connect your data sources to other services in Azure for further processing, no matter where it comes from, you can have just a simple console app sending messages or events periodically. There are three weeks left in Azure IoT onServerless Hackathon! 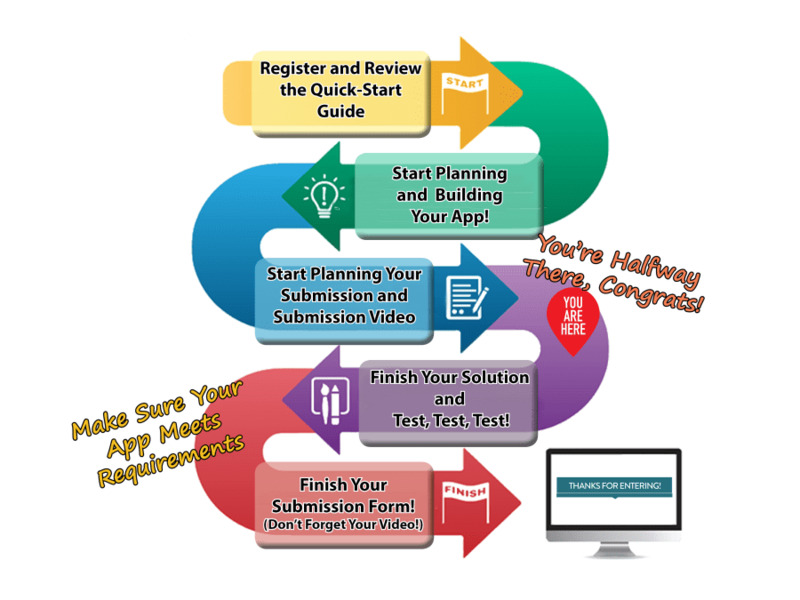 Avoid feeling rushed by getting your submission ready early. Submissions are August 2 before 5pm ET. Find out what time that is in your city. There’s one month remaining in Azure IoT onServerless Hackathon! Submissions are due August 2 before 5pm ET. We know as devs you’re expertise lies in building apps - so keep building! - however, the submission video needs time too! It's often the first (and sometimes only!) thing that judges and voters review. Establish your elevator pitch. In the first few seconds of your video, explain the pain point that your app solves using Microsoft Azure Iot. Within 60 seconds, viewers tend to lose interest, so use this time wisely to keep them engaged! You can use Visual Studio Code to debug Azure Functions with Azure IoT Edge! Read the full article and learn more here. Thanks for joining Azure IoT on Serverless Hackathon! You're officially registered now, and we’ll be sending you regular updates throughout the competition. Here’s how to get started building Microsoft Azure IoT business applications using a Serverless architecture. The submission period opens on May 2, 2018 and ends August 2, 2018, at 5pm ET. Get set up right. Sign up for your free Microsoft Azure Free Trial and find out more about the required tools on the Resources page.